Andrew and Harry from Cottesmore St Mary Catholic Primary School, raised just over £100 for Amaze from a school cake sale. 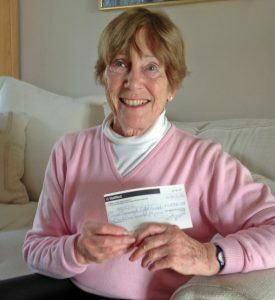 The Ladies’ Section of East Brighton Golf Club, and the 2015 Ladies’ Captain, Val McLeish McLeish, raised almost £4,000 for Amaze in one year through social events, competitions, raffles, and a Charity Day supported by all the club members and their guests. 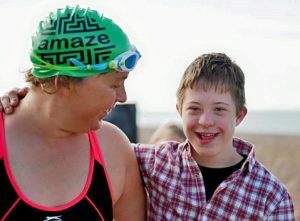 Fiona completed 50 miles of long-distance cold water swims by her 50th birthday, raising a fantastic £4,315 for Amaze. A regular sea swimmer, Fiona swam the 50k in a variety of outdoor locations including a river, a lake, outdoor lidos and of course, the sea. Fiona says, “The demands of bringing up a child with Down’s syndrome are at times very tough. What kept me going? Three major positives: my family, outdoor swimming and Amaze. 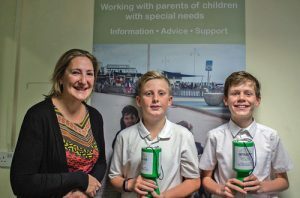 Parents, Ian and Laura Peggs, have benefited from Amaze’s services a number of different times to get the best support for their two autistic sons. They wanted to give something back so, together with friends – Greg, Ellie, Fergus, Patrick, Jack, Matthew, Nicki, Debs, Charlotte, Rachel, Jamie, Helen, Mike, Jo, Chris and Ben – they formed ‘Team Peggs’, a running team that has really gone the extra mile for us. 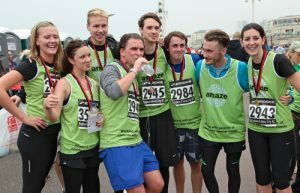 Team Peggs have worn their green Amaze vests in numerous races including the Brighton 10K, Half Marathon and Marathon and have raised a whopping £20,000 for Amaze over the years. Even their son Jagger has a medal for the mini mile. When they reached £20,000, an emotional Laura said, “That’s incredible. I’m totally overwhelmed… we’ve got the most amazing friends and family who continue to run and support us”. If you think you have what it takes to be a fundraising hero for Amaze, contact nickyb@amazesussex.org.uk and she can give you advice and support. 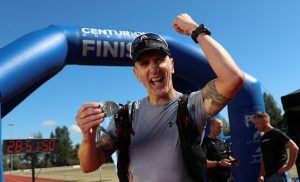 Or visit our pages on running, community fundraising or active challenges.